My last 2 visits to Hogenakkal were from the regular route via Tamil Nadu side- Krishnagiri- Dharmapuri route. This route from Bangalore is much longer, heavily tolled and tourist vehicles will have to pay interstate permit fee. Still many prefer this route either because they are not familiar with the alternative or prefer highways to scenic country side routes. There is another way to reach Hogenakkal from Bangalore. This one is much shorter and extremely scenic, but the road is narrower. I wanted to try this route from sometime and finally it materialized last weekend. 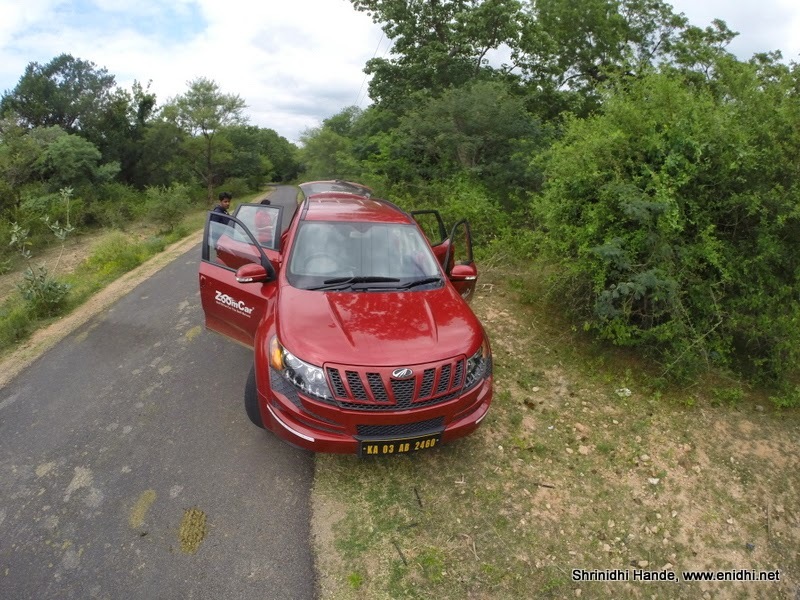 From Bangalore I took Zoomcar’s XUV500, picked up friends who were interested in the trip and headed towards Hogenakkal, via Electronic city-Attibele-Denkanikottai-Anchetti-Hogenakkal route. Internet reports suggested that 10-15 kms on this stretch were bad roads. I was mentally prepared for that. But the roads were very good, except a small stretch where we found construction work in progress. Another few weeks that should be covered too. After Anchetti we encountered lots of hairpin pends and nice views. Road was single lane, but there was hardly any topic. We found a hillock temple, few small but colourful roadside temples etc. I recommend this route any day to the route on the highway, as it is also shorter by close to 50+kms when compared to traditional Hosur-Krishnagiri-Dharmapuri road. Only disadvantage will be not having proper restaurants on the way. Around Attibele there are a few decent hotels, but they weren't open early in the morning. We had some food at a shop that was open. If you skip that, there aren't any decent restaurants along the route. Do pack some food. Had we gone 2 months earlier, the route would have been much more greener and scenic, due to monsoon. Anyway, September was not bad. While returning we took Hogenakkal-Anchetti-Anekal-Chandapura-Blr road. This was also very scenic. 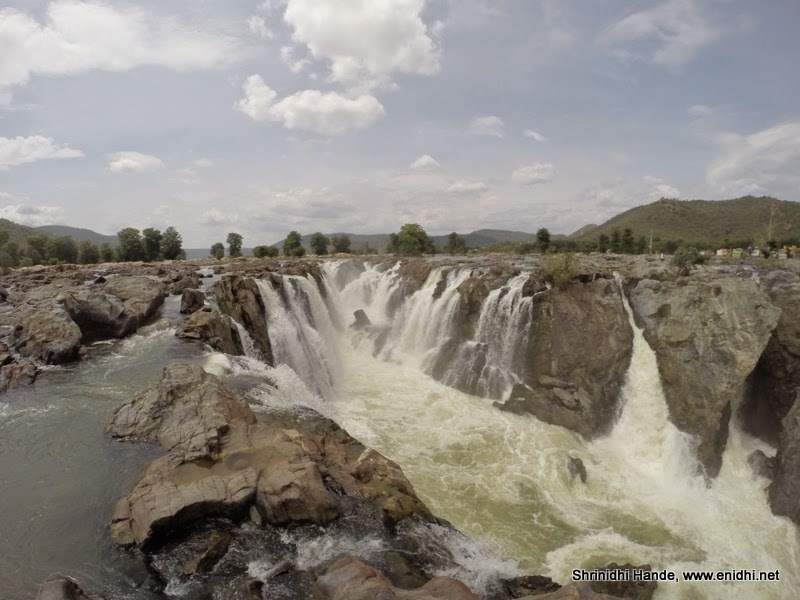 We could comfortably visit Hogenakkal, explore and return same day. Update: Watch a video in this post for some of the scenery and road conditions. Must explore this route. Thanks for sharing. i loved this waterfall pic! awesome! Thanks a lot for your inputs. I am planning to go tomorrow by my Honda City car. I guess you are taking diversion after Hosur. Is the road good (except for some patch u said) all the way through? We took diversion soon after attibele.. didn't reach Hosur. 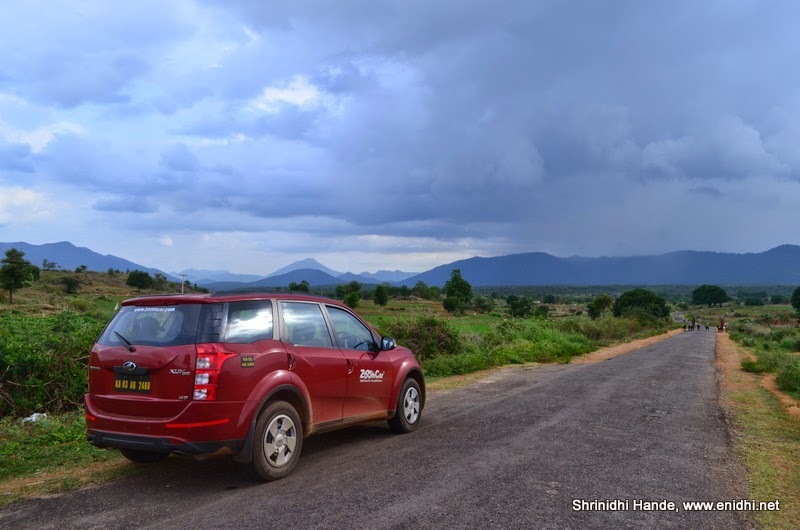 Do you remember how much you paid for the road tax on the Zoomcar XUV? U have to pay road tax for TN as u have Entered TN. Yes, but they need to set up booths on the way. I can't go 200km off my course to pay tax. It appears you covered roughly 150-160 KMs round trip. How much was the total cost for ZoomCars? Also, is October a good time to visit Hogenakkal? Lastly, does Dharmapuri come in this route? Thanks in advance for your time. Any help will be much appreciated. M also planjing to go there...guys..i hope route is safe..
are they govt buses from attibele to hogenakallu falls ? Not sure from Attibele, from Dharmapuri yes.